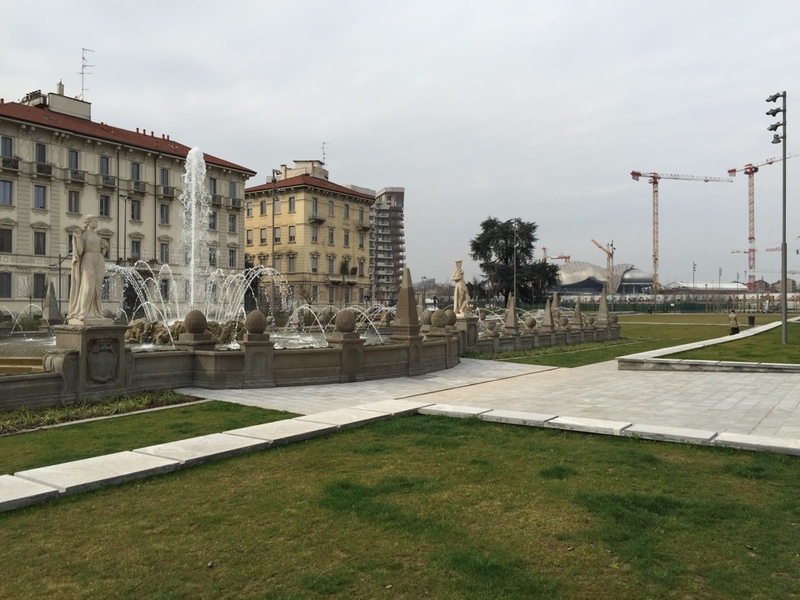 Piazzale Giulio Cesare with fountains and statues. Somewhere far you might notice a futuristic MiCo roof. Narrow streets of Milan. This one is via Giovanni Randaccio. A view towards Arco della Pace from the Piazza dei Volontari. A good place to sit and relax. Porta Sempione ('Simplon Gate') is marked by a landmark triumphal arch called Arco della Pace ('Arch of Peace'), dating back to the 19th century, but its origins can be traced back to a gate of the Roman walls of Milan. Parco Sempione is one of the best places for walking in Milan with a lot of landmarks around. Sforza Castle (Italian: Castello Sforzesco) was built in the 15th century by Francesco Sforza, Duke of Milan, on the remains of a 14th-century fortification. Later renovated and enlarged, in the 16th and 17th centuries it was one of the largest citadels in Europe. Extensively rebuilt by Luca Beltrami in 1891–1905, it now houses several of the city's museums and art collections. The Torre del Filarete is the main entrance into the castle. In 1521, in a period in which it was used as a weapons depot, the tower exploded.